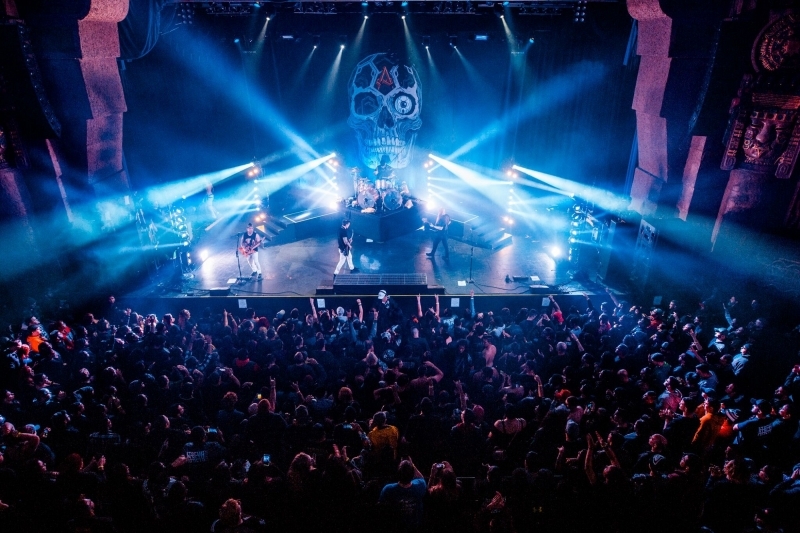 California metalcore band Atreyu released their seventh album “In Our Wake” in October then promptly hit the road on a 27-date U.S. winter tour to promote it. Lighting designer on the outing was Megan Alksninis who had a large Elation floor package supplied by JDI Productions at her disposal. Atreyu’s fast-paced music drives the lighting and the design throughout the show, says Alksninis, with a mix of strobes, subtle color chases and even a mirror ball or two. The lighting package consisted of 30 compact ACL 360i™ and 6 DARTZ 360™ LED moving heads along with 8 Cuepix Blinder WW2s™ and 4 Protron 3K Color™ strobes. A total of 6 pipes surrounded the stage with lighting working off the set each show depending on the stage size. From the back of the drum riser the pipes were positioned as a V with three on each side of the stage. The pipes held different configurations of lights but all had at least one type of each fixture. Alksninis says she was able to create unique looks with the variety of Elation lights she was carrying. 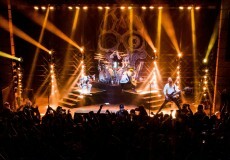 “My favorite was using gobos in the DARTZ to sweep over the crowd. The Protron color strobes also worked incredibly well as wash lights,” she said, adding that it only took four to enclose the stage in color. 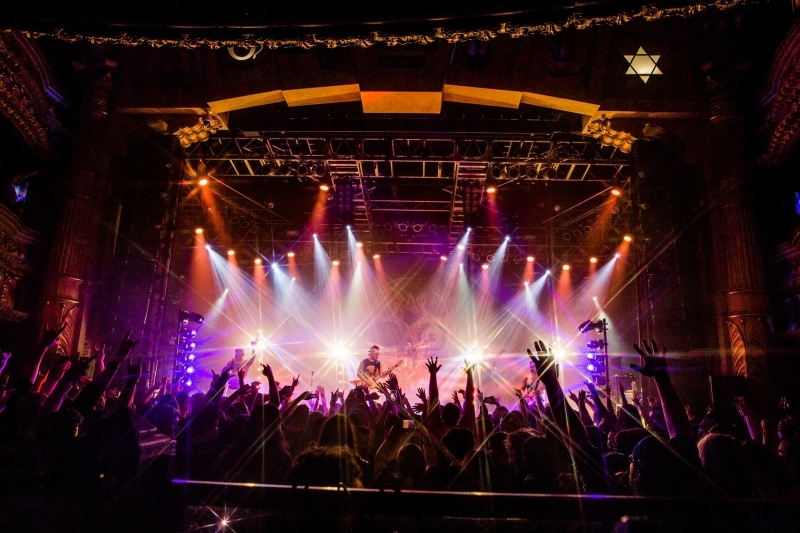 This was JDI Productions’ and Alksninis’s first time working with Atreyu, a collaboration that left the designer appreciative of the opportunity. “I want to thank everyone in Atreyu for trusting me and welcoming me into their family, my JDI team for teaching me and always having my back, and Elation for the support and recognition,” she concludes.